IBM unveiled a list of innovations that will improve how people live, work and play in cities around the globe over the next five to ten years. Number one on the list is the electrification of transportation. Everything you thought you knew about plug-in hybrids and battery electric cars is probably wrong. 1. EVs don’t have enough range. You'll be stranded when you run out of electricity. FACT: Americans drive an average of 40 miles per day, according to the U.S. Department of Transportation. Most new battery electrics have a range of at least double that and can be charged at any ordinary electrical outlet (120V) or publicly accessible station with a faster charger. At present, all it takes is planning for EV owners, who can travel up to 120 miles on a single charge, to use their cars on heavy travel days. 2. EVs are good for short city trips only. FACT: Consumers have owned and driven EVs for seven years or more and regularly use them for trips of up to 120 miles. 3. EVs just replace the tailpipe with a smokestack. FACT: Even today, with 52 percent of U.S. electricity generated by coal-fired power plants, plug-in cars reduce emissions of greenhouse gasses and most other pollutants compared with conventional gas or hybrid vehicles. Plug-ins can run on renewable electricity from sources such as the sun or wind. Plug-in hybrids will reduce greenhouse gasses and other emissions, even if the source of electricity is mostly coal, a 2007 study by the Electric Power Research Institute (EPRI) and NRDC showed. 4. The charging stations must be built before people will adopt EVs. FACT: Most charging will be done at home, so public charging isn’t a necessity. And at least seven companies are competing to dominate the public-charging-station market and a trade group representing the nation’s electric utilities has pledged to “aggressively” create the infrastructure to support “full-scale commercialization and deployment” of plug-ins. 5. The grid will crash if millions of plug-ins charge at once. FACT: Off-peak electricity production and transmission capacity could fuel the daily commutes of 73 percent of all cars, light trucks, SUVs and vans on the road today if they were plug-in hybrids, a 2007 study by Pacific Northwest National Laboratory found. Plug-ins, which can be seen as energy storage devices on wheels, can actually benefit the grid, making green energies like solar and wind power even more viable. 6. Battery chemicals are bad for the environment and can't be recycled. FACT: Ninety-nine percent of batteries in conventional cars are recycled, according to the EPA. The metals in newer batteries are more valuable and recycling programs are already being developed for them. Utilities plan to use batteries for energy storage once they are no longer viable in a vehicle. 7. EVs take too long to charge. FACT: The most convenient place and time to charge is at home while you sleep. Even using the slowest 120-volt outlet, the car can be left to charge overnight, producing about 40 miles of range. Most new battery cars and plug-in hybrids will charge from 240-volt outlets providing double or triple the charge in the same amount of time. Charging stations that reduce charging time even more are beginning to appear. 8. Plug-ins are too expensive for market penetration. 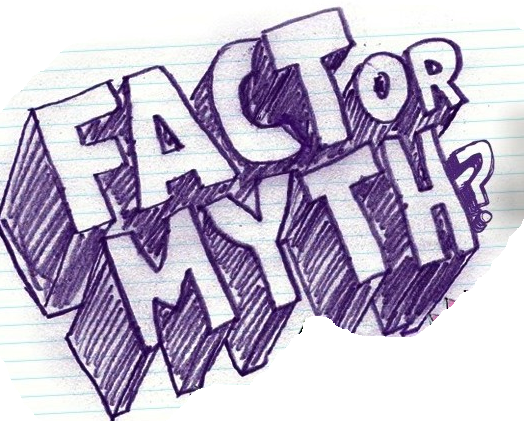 FACT: New technologies are typically costly. Remember when cell phones and DVDs were introduced? Also, the government stimulus package includes a $2,500 to $7,500 tax credit for EVs and PHEVs. Some states are considering additional incentives ($5,000 in California and Texas). And EVs require almost no maintenance or repair: no oil or filter changes, no tune-ups, no smog checks. 9. Batteries will cost $15,000 to replace after only a few years. FACT: The battery is the priciest part of a plug-in, but costs will drop as production increases and the auto industry is expected to be purchasing up to $25 billion in advanced batteries annually by 2015. Some car makers plan to lease their batteries, so replacement won’t be an issue. 10. There isn't enough lithium in the world to make all the new batteries. FACT: Even in a worst-case scenario of zero battery recycling, aggressive EV sales, no new mining methods or sites, existing lithium stores will be sufficient for projected EV production for the next 75 years. See an analysis at PlugInAmerica.org. 11. Lithium batteries are dangerous and can explode. 12. Most of us will still be driving gas cars through 2050. FACT: Driving us toward EVs are ever-toughening federal fuel economy standards and state caps on greenhouse gas emissions; projected price hikes for petroleum products as demand increases and supply flattens or drops; broad agreement over the need for America to reduce its reliance on petroleum; and climate change, which is occurring faster than previously thought, according to the journal Science and many other sources. Toyota to Start Retail Sales of Plug-Ins in Two Years (Update2) - Bloomberg.com: "Toyota Motor Corp., the world’s biggest seller of gasoline-electric hybrid cars, intends to begin retail sales of a plug-in version of its Prius hybrid in two years’ time as environmental concerns spur demand for fuel- efficient vehicles. The company aims to sell “several tens of thousands” of plug-ins a year globally, Executive Vice President Takeshi Uchiyamada told reporters in Tokyo. Toyota will begin leasing the cars today to governments and businesses and aims to sign agreements covering 600 through the first half of 2010. The company will also start selling a short-distance pure electric car in 2012. Nissan Motor Co., General Motors Co., Daimler AG and startups such as Tesla Motors Co. are also readying vehicles that run entirely or in part on electricity as governments push for vehicles that will reduce gasoline use and trim carbon-dioxide emissions." The Arcimoto Pulse is the 3-wheeled electric vehicle shown in the picture above. 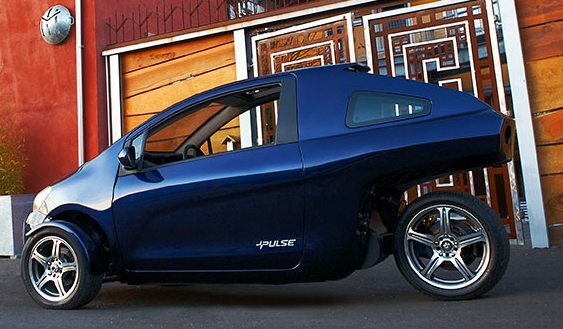 The Pulse is a freeway speed commuter vehicle with an affordable $17,500 base price. It will be on display this weekend (December 12th - 13th 2009) in Tigard Oregon at Washington Square Mall in the Nordstrom Courtyard. Even during our current down economy, the US is importing $850 million worth of oil each day. Last month, October 2009, more than 350 million barrels arrived in US ports with a price tag of about $26.5 billion. That is money leaving the US economy with much going to OPEC nations. However, number one on that list for getting US dollars is our friendly northern neighbor. Canada is the top exporting nation for the oil we consume. Some of this Canadian oil comes from the tar sands of Alberta. Deposits are spread out over an area the size of Florida in a landscape that’s being permanently altered and possibly permanently polluted. Before it became technologically feasible to extract the oil, the area was mostly covered in Boreal forest. The extraction process removes the trees, the top soil and other vegetation are then scraped away to reveal sand coated in a mix of water and bitumen, a heavy oil. In one of the area projects, the oily sands are washed with water from the nearby Athabasca River. The oil is skimmed off and the, now contaminated, water cannot be pumped back into the river. Instead, the water sloughed into tailing ponds where it sits. That tainted water may still get into the water table or the nearby river. Tar sands operations, continually growing, are now producing over a million barrels of oil per day with permanent damage to the planet left in their wake. A visit to Tesla's flagship retail store and assembly facility in Menlo Park, CA. Carnegie Mellon Robotics Institute professor Illah Nourbakhsh talks about electric vehicles and driving habits.